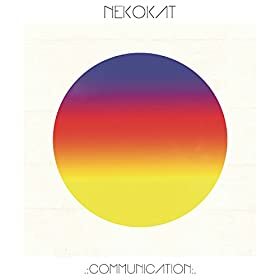 Combining members of The Ready Set and The Summer Set, Nekokat was formed with the desire to get back to something that felt “fresh and new,” according to The Ready Set’s Jordan W. They succeed in their efforts with their debut EP, Communication -- a fun set of songs that are buoyant and joyful. The standout track is “Don’t Be Loud,” a sly, funky song that instantly gets stuck in your head. Every song on this EP is catchy, but this is the one that sticks out the most. Lead single “Gimme A Break” calls out to people that are struggling with finding who they are and telling them to embrace their true selves. “The Reckless” is an anthem, with a gang vocal refrain in the verses saying, “We are one and the same.” It’s a song made for shouting at the top of your lungs that’ll really bring people together. The title-track has a bit of a different feel than the rest of the songs, but it brings together the overall theme of communication on this EP. It’s a beautiful, floating song that seems to get better with every listen, each time hearing something new in the music. Comparisons to The Ready Set are inevitable, but Jess Bowen’s drumming and input help make it their own. The drums and guitars intertwine with the electronic sounds and form an awesome hybrid that fits seamlessly together. It sounds like the band is having fun without the pressure that comes with their full-time projects. They’re free to make something unique and new, and that joy is projected through in the music. Hopefully their future efforts will also be this spontaneous and fun to listen to. Communication is officially released on June 23rd.